The company has had a long history here with its close to 100 years in India. Brands like Calpol (a paracetamol) and Horlicks from its two listed entities are household names in India today. Enough and more has been written in the western media on Andrew Witty, the outgoing CEO of GlaxoSmithKline Plc, the global healthcare giant from Britain. Views have been divided on what his tenure (ending March 31st next year) will be remembered for - his leadership that put in place new practices on sharing clinical trial data? Or the greater transparency got in by GSK following a corruption scandal that hit the company in China through measures such as stopping all payments (across countries) to physicians to speak on behalf of the company? Or the landmark three-way deal with Novartis and Eli Lilly creating a new entity with consumer healthcare assets and exchanging oncology and vaccine business with Novartis? What matters in this part of the world is perhaps the imprint, if not the impact, that his decade-long tenure at the helm has had on GSK in India. The company has after all had a long history here with its close to 100 years in India. Brands like Calpol (a paracetamol) and Horlicks from its two listed entities in India - GlaxoSmithKline Pharmaceuticals and GlaxoSmithKline Consumer Healthcare - are household names in India today. Conversations with those who have seen the company closely under Witty or see several steps that led to the building of a new growth platform for the company in India. Soon after he took over, there were stories in pharma circles of how GSK was keen on making acquisitions in India with unconfirmed reports that it even bid in some cases. This, it was felt, was a reflection of his bullishness on India's prospects as a country given his understanding of the region and the emerging markets as a whole. After all, Witty was seen then as refreshing change in the global pharma leaders having spent years studying emerging markets (he joined GSK as a management trainee in 1985). 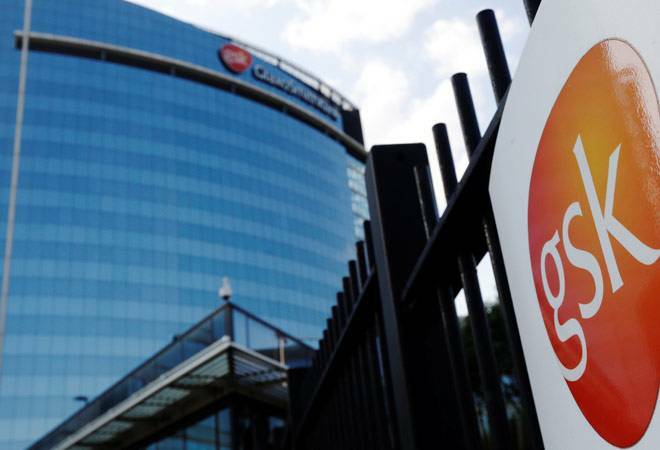 Another sign of interest in India could be what GSK did with its stake in Indian subsidiaries. The mother company raised its stake to close to 75 per cent from 50.7 per cent in its India pharma business and 43.16 per cent in its consumer healthcare business. At a personal level, he was seen to be visiting India regularly and ensuring his first-hand feel of the region - there are stories of how he has been visiting the country twice every year with the exception of one year when the scandal broke out in China. But perhaps the most important signal on where India figured in GSK's scheme of things was its announcement on greenfield investment of close to Rs 900 crore setting up a formulation facility (making tablets) in Bangalore. Last but not the least, in May this year, GSK appointed Vindi Banga as the Senior Independent Director with a role to act as a sounding board for the Chairman and a trusted intermediary for the other directors. One could argue that Banga after all is a global manager but then here is also a man of Indian origin, who has spent many years in India and understands India. Some even say Witty's experience with India and emerging markets as a whole, where he has worked over the years and seen regions like Africa, India, China and others closely, has perhaps been the inspiration behind the company adopting what it calls a "tiered pricing policy" or the practice of selling drugs in developing countries at prices lower than in advanced nations of the West for instance and link the prices to the GDP per capita of that country, which led to many cancer drugs being launched in India at much lower prices than in some advanced nations. At a time when Witty's tenure is being analysed globally on financials, growth and returns to shareholders, in India, between its two companies, it makes around a billion dollars, which may not be the case for it in many countries. Also, for GSK globally, about 28 per cent of its sales by volume today comes from India. Whoever is its next chosen leader, he or she, will arguably get a growth platform in India. Crucial at a time when analysts say there are challenges in other global markets. Brazil market, analysts say, is expected to contract, Russia is already contracting and with China maturing, India could well be the only sweet spot available. How it will be leveraged by the next leader after Witty needs to be seen. "Smart manufacturing to improve competitiveness, will not lead to job loss"